multisig, hardware and lite wallets, governance protocols, etc. In all of these contexts, different amounts of tokens will be made available for various levels of community participation. A wide variety of people will be rewarded for their community participation. Some types of participation could be more highly valued than others. The winners of a competition for building a new type of dApps at a hackathon might receive significantly more XSC than the bulk of the participants. However, the idea is that most types of contribution should result in earning some XSC tokens. In order to collect tokens at, for example, an event, all you need is to have an Ethereum wallet which supports ERC20 tokens. During events, we will collect the relevant public keys and distribute tokens live to the participants. After that, participants can trade or hold their tokens or use them to purchase discounted consulting services from CSC. For more information on using XSC tokens to purchase discounted consulting services, please see http://crowdstart.capital. During Phase 1, tokens may also be awarded outside of events to reward individual contributions to the overall blockchain community. The point here is to get tokens into a wide variety of people’s hands and incentivize participation in building the local development community. Developers sign up on our website with their GitHub username and a public key for an Ethereum wallet. In order to ensure that those people actually doing the development work are also the people who get the token rewards, developers will also have to post their public key in their public GitHub profile. Once registered, developers just need to do what they do best: Code! For every line of code accepted to one of our registered and monitored projects within the blockchain ecosystem, CSC will transfer tokens to the author of the code. CSC also reserves the right to transfer bonus tokens to developers who solve particularly pressing bugs or issues or who contribute significantly to certain features. The exact number of tokens that each action will earn is not determined exactly, yet. Project code will likely be rewarded with more tokens than pure documentation for example, but all accepted commits are eligible for earning tokens. Obviously, good documentation and stability of key blockchain projects needs to be improved in order to bring the blockchain ecosystem closer to enterprise-readiness. CSC will start with providing incentives for development of Ethereum because it is the biggest and most widely accepted blockchain with a Turing-complete programming language. This said, it is also under-documented and could definitely use further support in order to progress and become an enterprise-ready solution. The second blockchain project whose development will be awarded with XSC tokens is IOTA, because of its assumed aptitude for IoT-related projects. In Phase 3, CSC will incorporate a mechanism for electing new projects to be supported. This mechanism will be based on a liquid feedback model enabling a contemporary scalable, decentralized decision making. In this phase, we’ll also be rewarding developers to contribute to our code base. Essentially, over the course of the three phases of the incentive program it should morph from being a mostly manual process to a fully automated process. One essential part of this phase is that developers will be incentivized heavily to build the secondary smart contract which will continuously monitor the GitHub accounts for commits and facilitate voting. A secondary smart contract will enable voting by people who already have some XSC. The community will be able to propose which projects to support in Phase 3. The framework for Phase 3 – a Liquid Democracy, or, Liquid Feedback process – will be described in the next post. 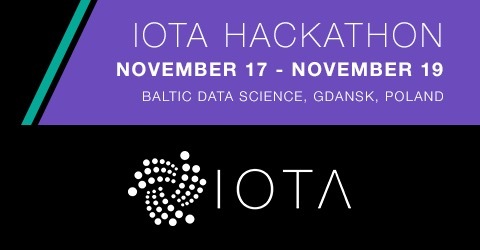 The kick-off event for this blockchain ecosystem incentive scheme will be the IOTA Hackathon in Gdansk, Poland, 17-19 November, 2017. There, we will award IOTA developers XSC tokens for committing code to the main branch and for other valuable inputs. The IOTA hackathon provides the ideal event for the initial distribution of XSC since during this 2,5-day get-together the Crowdstart Capital team and the hackathoe’s participants can perfectly define and decide on the value of the inputs to the blockchain and, henceforth, on the amount of to-be-earbned XSC tokens.